Columbariums are in keeping with early Christian tradition, with the faithful being buried within the church itself. However, when space was no longer available, the churchyard cemetery evolved. Only in recent times have burial grounds been far removed from the church community center of life and prayer. Today, Columbariums have been established by many churches in consideration of the spiritual and practical aspects of cremation and inurnment. The Columbarium at St. Mark’s is located inside the peaceful St. Mark’s Sanctuary, a place of reverence and devotion for all who enter. 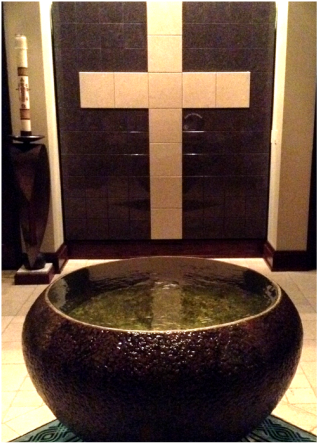 Our sanctuary offers a safe and loving proximity to, and for, loved ones. The simple but elegant architectural design provides a peaceful, permanent resting place for cremated remains. The Columbarium at St. Mark’s is carefully maintained by the church. Each niche holds one or two urns. Inscriptions of the name and year of birth and death are uniform on each niche. 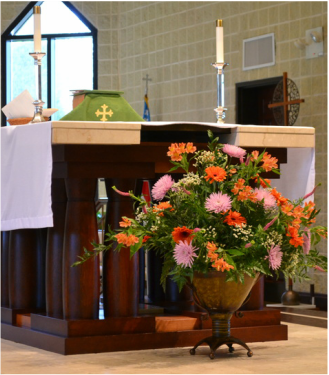 Availability of niches is reserved for members, former members and clergy of St. Mark’s. The fee for each niche is $2,000-$2,500, plus the market-price of urns and standardized engraving. Urns and engraving must be purchased from the columbarium manufacturer, and arranged through the church.